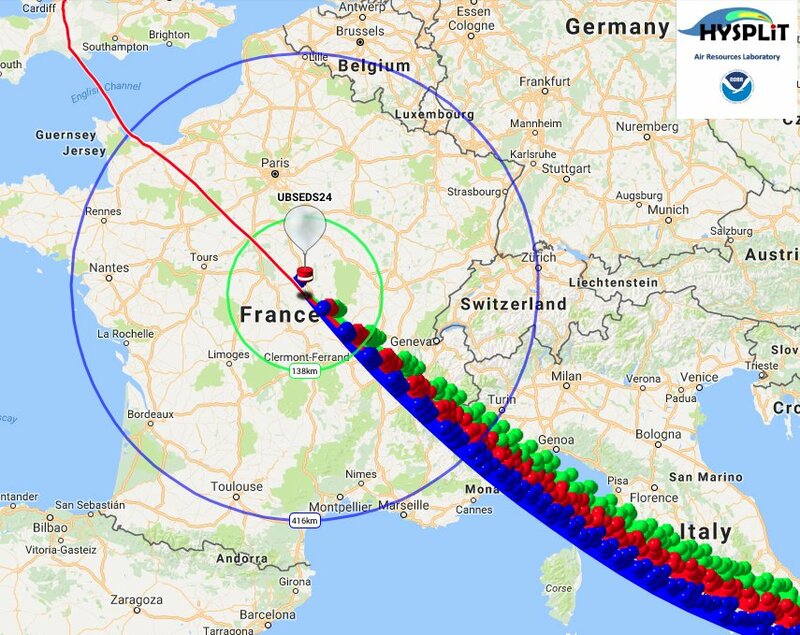 Bristol students plan to transmit 434 MHz Slow Scan Digital Video (SSDV) from the UBSEDS25 solar powered high altitude balloon planned to launch on Saturday, July 1. We’re planning a launch from Bristol this Saturday, July 1 between 0500 and 0530 BST. This is weather permitting, but the forecast currently looks okay. This flight is similar to the previous UBSEDS24, except with some bug fixes and adjustments. It’s using a 1.9m envelope and longer payload train, and so there’s a NOTAM in place. This tracker has a Raspberry Pi Zero V1.3 attached, which transmits images when solar power is available. It’s a different design to our launch last August; in this case the tracker will continue to operate even if the pi fails. For the curious the ‘pi status’ telemetry values are: 0 = off, 1 = on, 2 = PITS started, 3 = SSDV started). There will hopefully be a cutdown mounted between the balloon and the tracker. We’ll be testing the 434MHz uplink whilst it’s still in range of Bristol; if it returns over the UK at a convenient time and place we will attempt to trigger the cutdown. – Contestia 16/1000 with pips and RSID, transmitting telemetry. Once per minute below 8km altitude and every two minutes otherwise. – Usually 300 baud RTTY, 850Hz shift, 8N2. – GMSK at 12 ksymbol/s. 4×4 interleaved, R=1/2 convolutional K=5, HDLC framing, whitened etc as per the AX5043 manual. Concatenated with RS(255,223) to mop up some burst errors. The flight is expected to head south-east towards France. Many thanks to everyone who attempts to track this. Launch date/times are always subject to last-minute changes, check the UKHAS Google Group for updates. This is a call for speakers for the AMSAT-UK International Space Colloquium 2017 which will be held on Saturday and Sunday, October 14-15 at the Kents Hill Park Conference Centre, Timbold Drive, Milton Keynes, MK7 6BZ, United Kingdom. 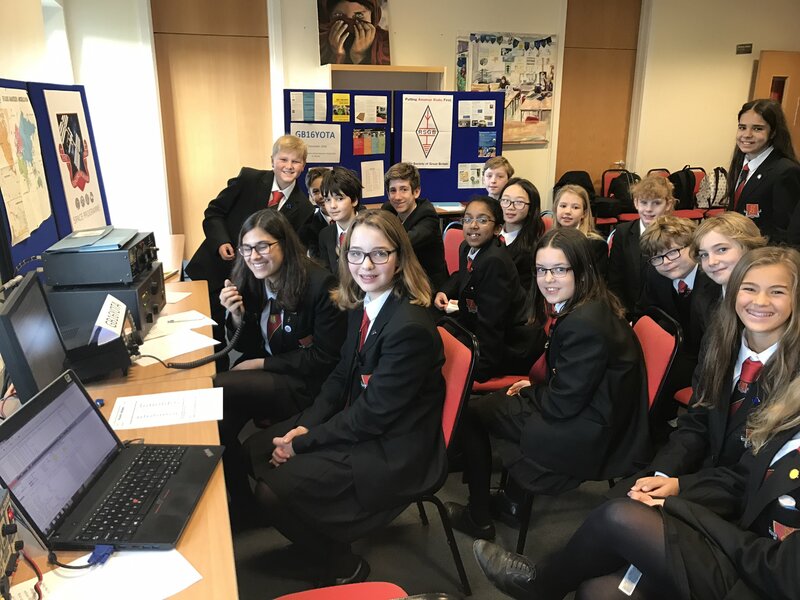 AMSAT-UK invites speakers, to cover topics about Amateur satellites, CubeSats, Nanosats, Space, High Altitude Balloons and associated activities, for this event. On Sunday, December 11 Bristol SEDS students launched UBSEDS21 a 434 MHz Contestia and 144/145 MHz APRS solar powered balloon that may travel around the world. Update Dec 23: UBSEDS21 over Spain having completed its first circumnavigation of the globe see track. Update Dec 20: APRS creator Bob Bruninga WB4APR reports receiving @bristolseds UBSEDS21 balloon AD6AM-13 145.825 MHz Dec 20 1420 EST – Bob was Mobile in Annapolis MD. Update Dec 18: UBSEDS21 has crossed the Pacific and reached Canada. 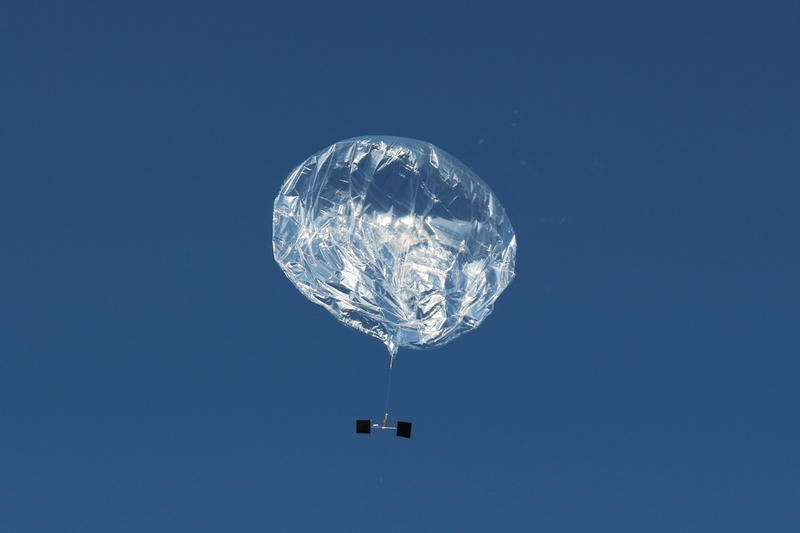 The UBSEDS21 balloon was built from 50 micron thick PA-EVOH-PE multilayer film and is about 1.9 meters in diameter, the payload weight was 34.2 grams. 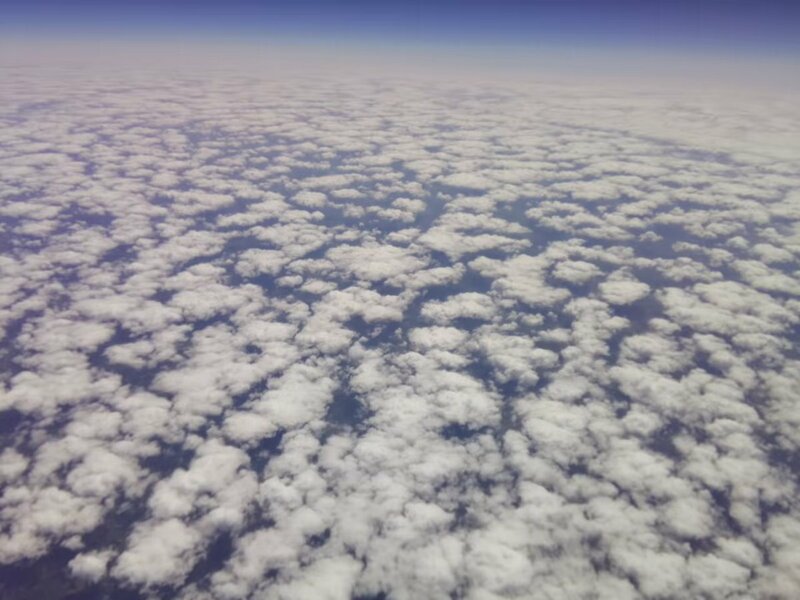 After launch on December 11, 2016 the balloon achieved a stable altitude of 15.2 km flying in an easterly direction on its potential circumnavigation of the globe. The initial plan was to use UBSEDS21 to contact the International Space Station (ISS) via APRS on 145.825 MHz. However, the VHF radio on the ISS is out of order, so this flight is used to test the amplifier and hopefully talk to any APRS enabled satellites. The winter launch means the payload needs to deal with the sun staying low above the horizon during the day. For this reason, sideways facing solar panels were used. Another pico launch from Bristol this Sunday, December 11 between 0500 and 0530 GMT. This launch is using a 1.9m envelope and longer payload train, and so we have a NOTAM in place. The flight is predicted to head south-east towards France. The payload will be transmitting Contestia 16/1000 on 434.610 MHz USB. Each transmission of Contestia 16/1000 will be preceded by 10 seconds of pips and RSID. The Contestia transmission rate will be once every 30 seconds during launch and when power is available during the day. Otherwise the transmission rate will be once every 2 minutes. Hopefully the tracker will operate from dawn to dusk, and maybe also during the night. The tracker will transmit APRS outside countries where the amateur license is not permitted airborne (like the UK). 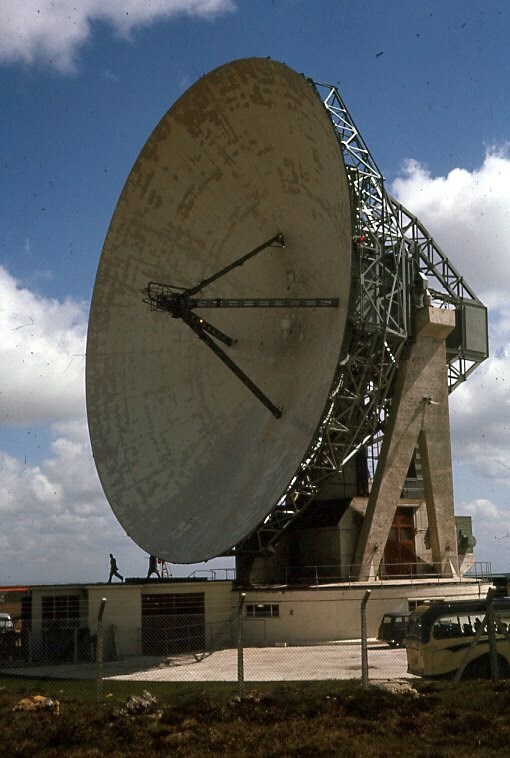 Additionally it will test APRS on 145.825 MHz, with an output power of +26 dBm (400 mW).